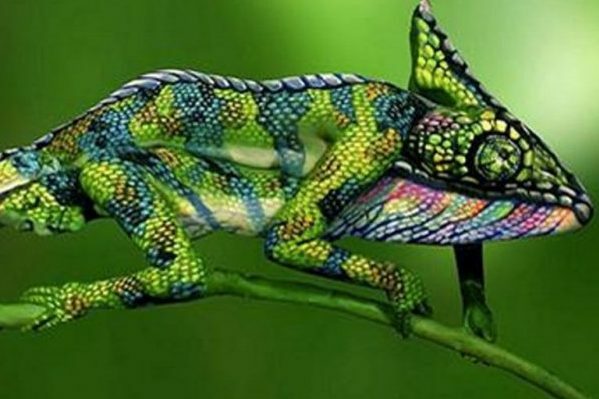 The term ‘chameleon consumer’ was first coined back in 2011 when a study by Ernst and Young highlighted the ever-changing persona of the modern consumer. Notoriously difficult to read – and even harder to please – the chameleon consumer defies the confines of traditional market segmentation, displaying a range of conflicting attitudes and preferences from one moment to the next. Aided by the march of digital technology, consumer behaviour is changing at an unprecedented rate, not only how, where and when consumers shop, but also their expectations of, and interactions with brands at every step of the buyer journey. This radical ‘metamorphosis’ has significant consequences for brands, which must adapt to accommodate these changing demands. Gone are the days of assigning consumers to a clearly defined socio-economic segment. And gone too are the old limitations on consumer power. Customers are no longer confined to set stores, locations and opening times, and are now more fickle in their loyalty. To build an understanding of this new consumer, companies must engage in dialogue with their customers across all communication platforms, through social media and other neutral forums where they can listen and talk. Alongside this communication they must invest in all possible analytics, to dissect their audiences and build a deeper understanding of their preferences and behaviour, thereby enabling the chameleon consumer to be recognised and treated as an individual. Across all channels and devices, consumers are more likely to act when marketing messages are tailored to their personal wants and needs. A 2013 study from Infosys found that 86% of consumers say personalisation plays a role in their purchasing decisions. That means personalisation is not just an option for brands in the mobile era, but a mandate. By understanding buyer behaviour on all channels and devices, and surface insights on each customer’s true affinity and preference, companies can offer a more personalised experience, from bespoke product and service variants and flexible delivery, to adaptable payment and communication options, giving the chameleon consumer the recognition they seek. And just as today’s chameleon consumers refuse to be filed into neat segments, they also have more promiscuous shopping habits than past generations – with an intense loyalty to a brand for a short time, which they lose interest in if there is no rapid reward for their loyalty. This has had a significant impact on the traditional loyalty scheme, where shoppers are rewarded for long-term loyalty rather than getting bargains from the start. Proving to be much less effective than brands thought they might be, the reality with loyalty schemes is that customers collect points, perks and discounts by purchasing nothing more than they would have if the incentive was not there and hence are viewed as an undifferentiated commodity. Long term loyalty from their customers is the Holy Grail for brands, and this loyalty is hard-won from today’s consumer. Brands must engage throughout the whole customer experience, creating a personalised and individual service, which continues long after a purchase has been made.